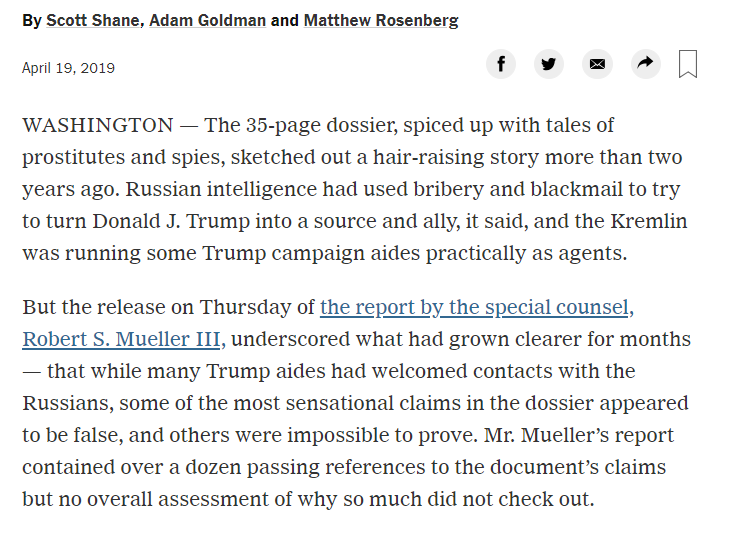 Now that Mueller has disproved the Steele Dossier, they know the lies & how they happened will be exposed in the near future? 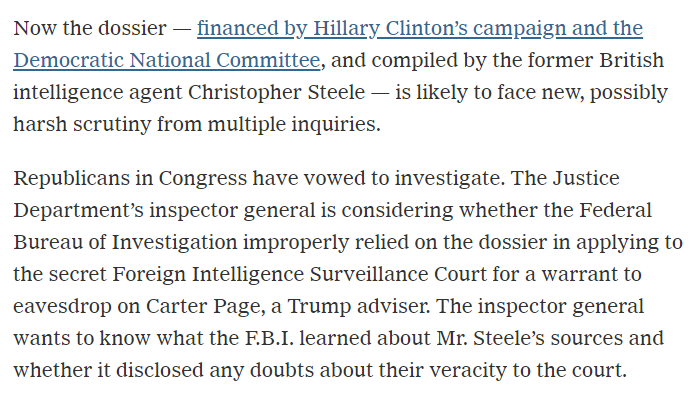 Are they pivoting to scapegoating Steele? Seems like the next best alibi! Again, Trump makes them expend their alibis 1 at a time before disproving them. 🇺🇸 The evidence is that the "DNC hack" was well before the time of the Podesta Emails (May 25th). The first date for the emails was well after Cloudstrike was working with the DNC in May. This should never happen to another president ever again, he said of Muellers investigation which he again called a “hoax"
This morning, after two years and $35 million of taxpayer money wasted, Special Counsel Robert Mueller’s report concluded what President Donald J. Trump has told the American people from day one: There has been no collusion or obstruction of justice. Attorney General William Barr addressed reporters this morning from the Department of Justice, explaining that he would transmit copies of a public version of the Special Counsel’s report to Congress at 11 a.m. today. Supplemental Thread to the @tracybeanz thread I have pinned... These will be general/specific questions that may be answered as the report unfolds. Many people are doing deep dives, and I won't replicate those efforts. Pg 12: Why did POTUS 44 allow Russian cyberthreats? #Rosenstein hasn't moved a muscle. Barr thanked him 4remaining thru the evaluation of the report & bid him adieu. No date attached 2that. 2) #Wikileaks is noted in the framework of Russian hacking & Barr says they received & released docs hacked by Russia. Not a criminal offense unless they were involved ninth hack. The report is 2be out on the #DOJ website soon after 11:00AM. 3) The #DOJ site is both being slammed & hard 2connect 2 & when U do, be forewarned, it's slow. That said, here's the link 2the J#usticeDept pdf doc. Says part 1 of 2. "Harm 2Ongoing Matter" & "Personal Privacy" appear re-added in redacted areas. BARR: "President Trump faced an unprecedented situation. As he entered into office, and sought to perform his responsibilities as President, federal agents and prosecutors were scrutinizing his conduct before and after taking office, and the conduct of some of his associates." 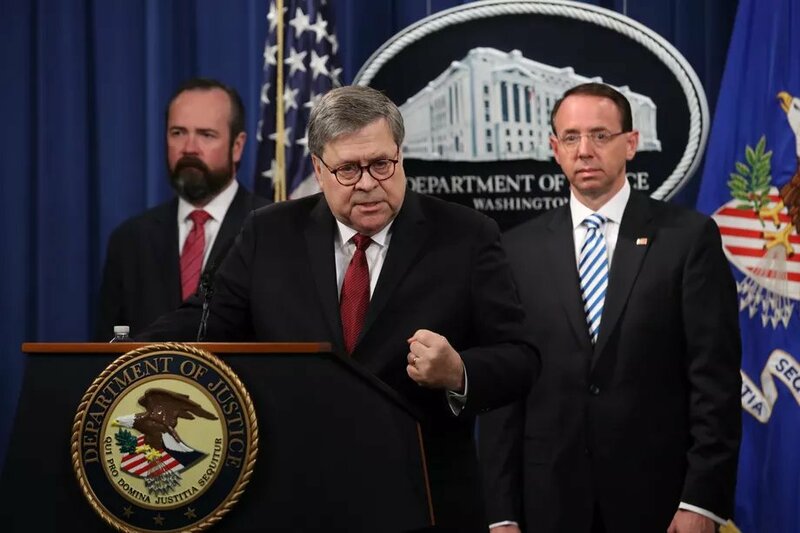 BARR: "And as the Special Counsel’s report acknowledges, there is substantial evidence to show that the President was frustrated & angered by a sincere belief that the investigation was undermining his presidency, propelled by his political opponents, & fueled by illegal leaks." 2) “The one that I have the strongest feeling about is General Flynn,” @RandPaul told Fox news on March 26, when asked if Trump should pardon anybody after special counsel Robert Mueller concluded his probe. 3) We started to look for a connection between Gustavo Cisneros who is a billionaire mogul originally from Venezuela with strong ties to then leader Hugo Chavez. Cisneros was a huge donor to Chavez’s campaign and they were friends but that relationship changed.
.@realDonaldTrump Are they ready for the DECLAS? AG Barr's letter to Congress, summarizing the Mueller Report has been released. So much for any Dem arguments that the SC was not thorough in its investigation. 500 witnesses and 2,800 subpoenas and of those witnesses only two Americans were sentenced for crimes that were not process crimes, Manafort and Cohen, I believe. SC did not find/establish any Collusion by the Trump campaign with Russians but they claim Wikileaks did get the DNC/Clinton emails through Russian operatives. This is the evidence I want to see. What evidence if any, do they have on Assange/@wikileaks. Is this just supposition? Sometimes reading between the lines provides..
Coincidence post stringers dropped last night? Whoa, whoa, whoa. 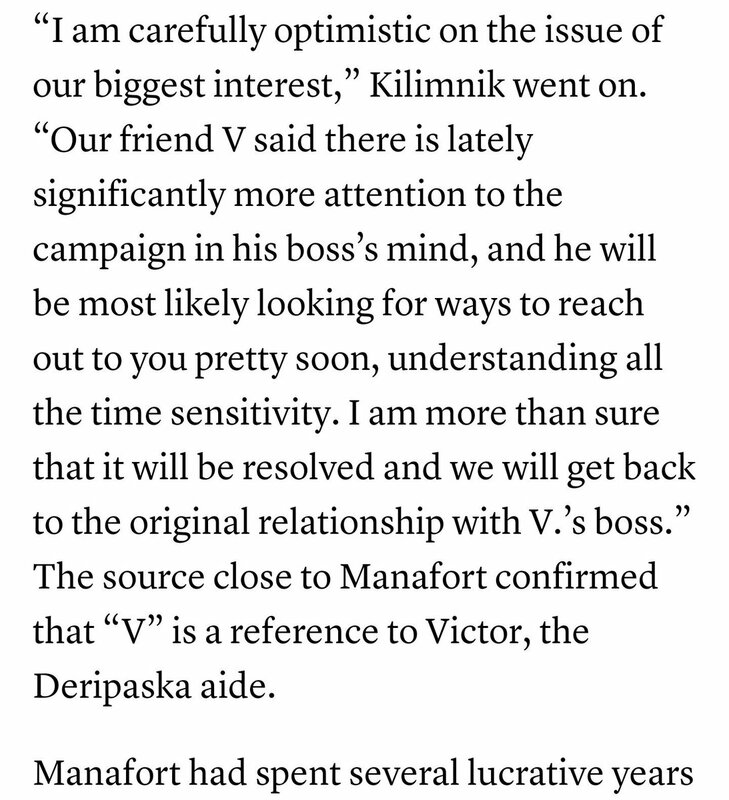 Could this Victor from the GRU that we just sanctioned today be the "V" that Manafort communicated to Deripaska through during the 2016 elections??? 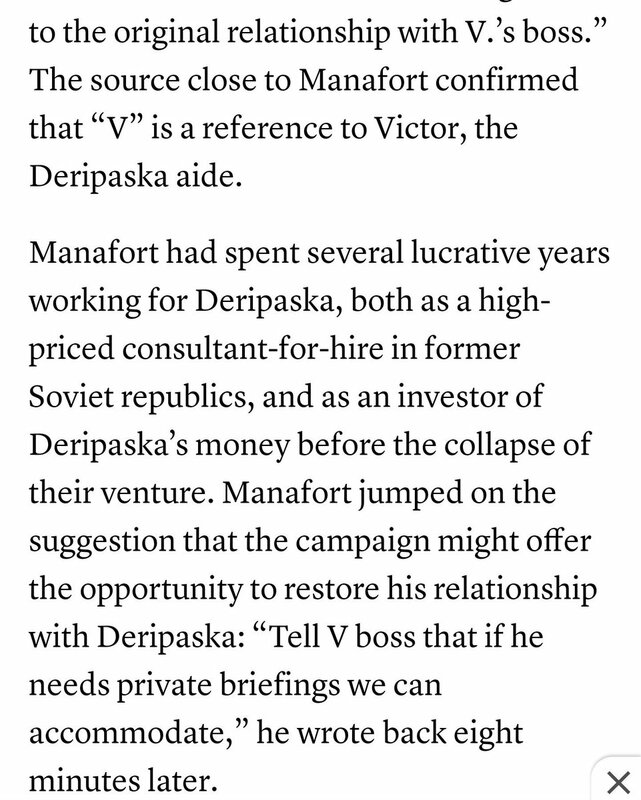 Where he emails Kiliminik to tell V that he could offer Deripaska private briefings?! 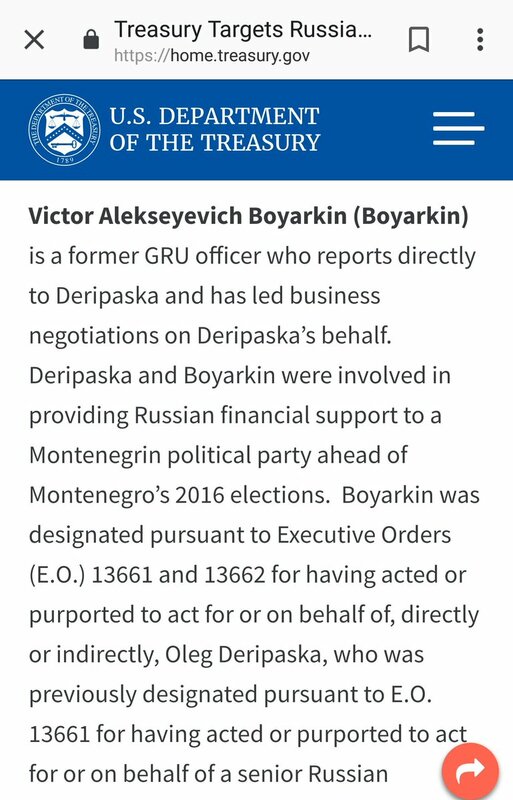 Does Deripaska have more than one close aide named Victor whom he directs to interfere in the democratic elections of other countries? Or is Manafort finally cooperating with Mueller and these sanctions are a punishment for interfering in our elections? Trump regime announces it will lift sanctions on Oleg Deripaska's Rusal, EN+ Group & JSC EuroSibEnergo in 30 days unless Congress blocks the action under CAATSA. Tomorrow's Federalist: "The Witnesses In The Manafort Trial JUST HAPPEN To Be In Alphabetical Order? Nice Try, Deep State!" Tomorrow's Twitchy: "LOL!!! "@kumbuckitz6969" just OWNED Mueller's Trial Materials on Twitter And It's HILARIOUS!" Tomorrow's Vox: "Mueller's Trial Witness Opening Brief: An Explainer On How Hearings In Federal Circuit Court Work Under The Federal Procedure Codes"